Do you play pes 6 but your club or national team is not there? okay PES6AREMA provide solutions to solve your problem. You can order here, of course the terms and conditions apply to you. You have to pay 2 USD for each team. For example, you order India and East Bengal FC team so you have to pay 2 USD x 2 team = 4 USD. 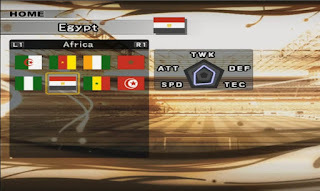 PES6 AREMA edits file options based on player accuracy in PESSTATSDATABASE.COM if player is not there we convert from PESMASTER.COM even if player is not there we analyze from YOUTUBE. face, hair and body shape we customize with the player. jersey club sponsors, emblems and apparel of course we will adjust as well. How to order your request? Later we will guide directly from whatsapp or email.